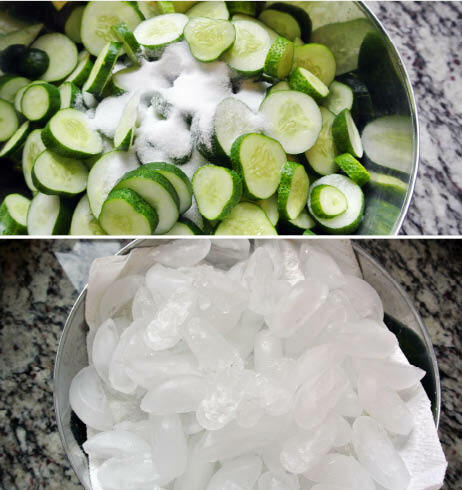 Wash the cucumbers and cut off the ends. Slice into 1/4″ slices. Toss cucumber slices with onions and kosher salt in a large bowl. Cover with a paper towel and then cover with 5 or so cups of ice. Let this mixture stand for 4-6 hours or overnight in the fridge. 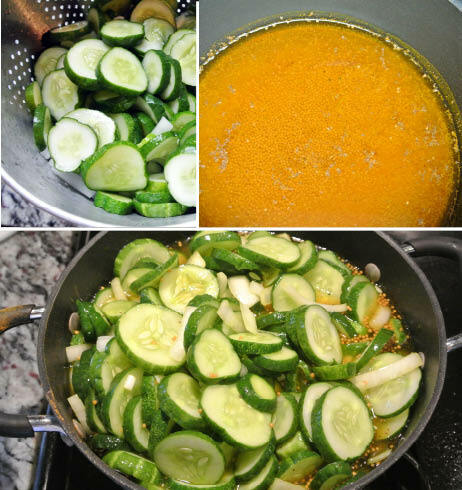 Drain the mixture of cucumbers and onions and rinse with cold water to get rid of the salt. 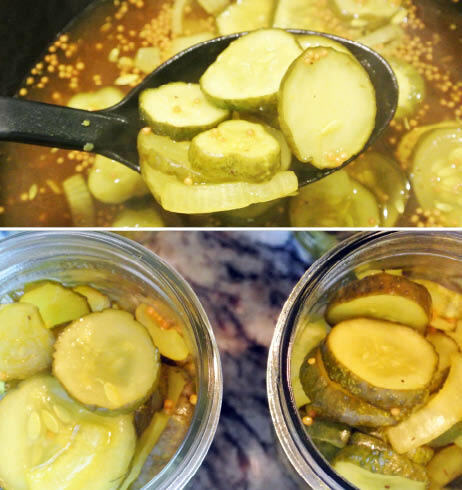 In a large pot, over medium heat, combine the vinegar, sugar, tumeric, celery seeds, and mustard seeds. Bring to a boil, heating until sugar is completely dissolved. Add the cucumber mixture to the vinegar mixture and bring the new mixture to a boil. 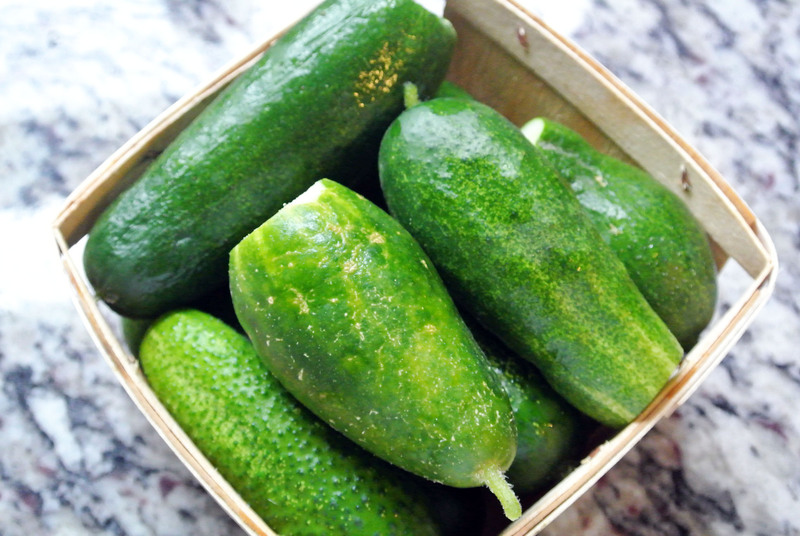 Don’t be alarmed if your cucumbers don’t look as green as these. This is what they’ll look like after they’ve boiled. 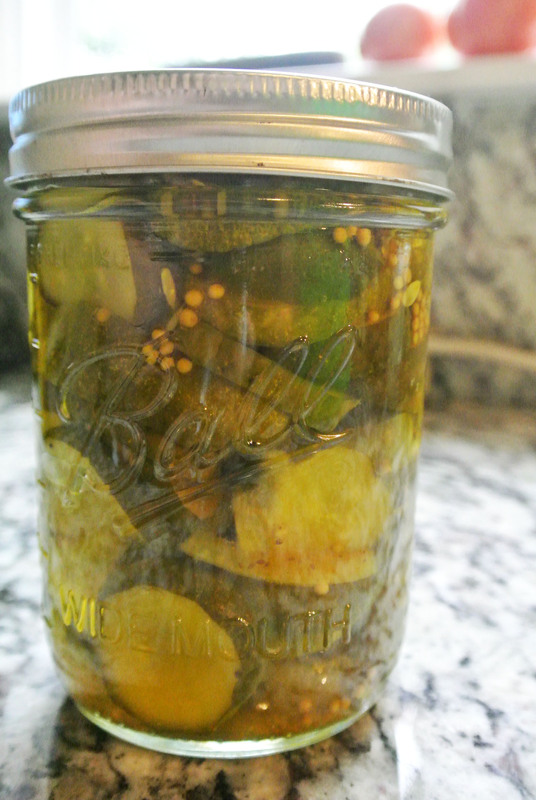 Using a slotted spoon, fill warm, sterilized pint jars with the cucumbers. 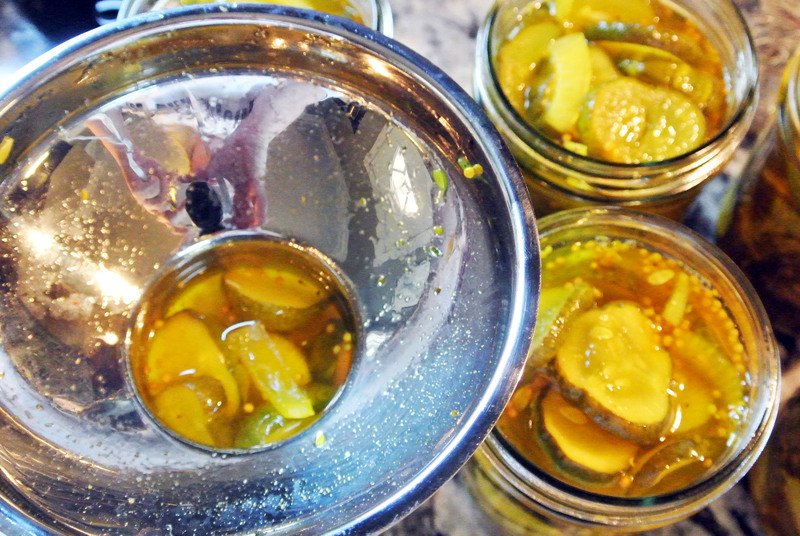 Ladle liquid into the jars leaving a 1/4″ headspace. Remove air bubbles, wipe rims, and adjust lids. Process for 10 minutes in a boiling water canner (be sure that you start timing once the water has returned to boiling).